Whether striped or spotted, this voracious garden pest can cause serious damage to cucurbit crops. Here’s how to identify and effectively control cucumber beetles using safe, organic methods. 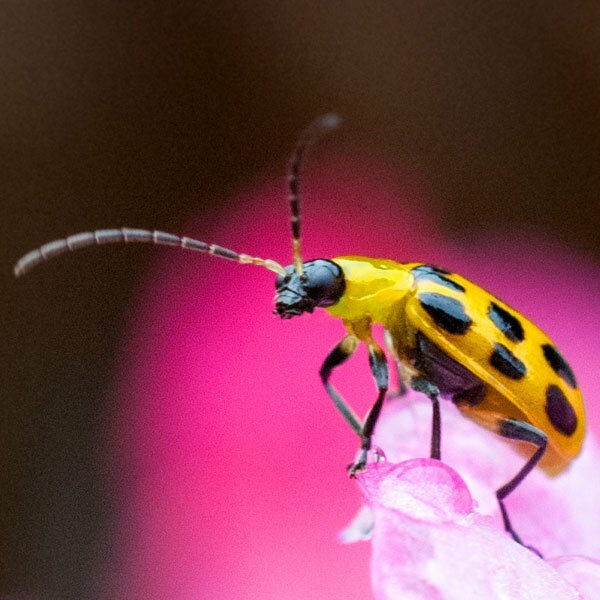 Cucumber beetles are found across the United States from Canada to Mexico and are either striped (Acalymma vittatum) or spotted (Diabrotica undecimpunctata howardi). Both species feed primarily on the leaves, flowers and fruits of cucurbits (cucumbers, squash, pumpkins and melons). Alternate plant hosts include beans, corn, peanuts and potatoes. Adult cucumber beetles (1/4 inch long) are yellowish-green in color with dark heads, legs and antennae. They have distinct black spots or lengthwise stripes on their wings. 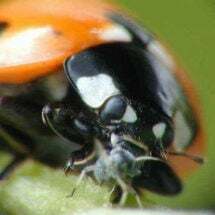 During the growing season, they are found feeding on seedlings, foliage, pollen and flowers causing greatly reduced yields and sometimes plant loss. The slender white larvae (up to 1/3 inch long), have brown ends and injure plants by feeding on roots and underground stems. Heavy larvae populations can reduce plant vigor and damage melon rinds making the produce unfit for consumption or market. Note: Adult and larval stages of the cucumber beetle transmit several plant diseases, including bacterial wilt and mosaic virus in cucurbits. Adult beetles overwinter in plant debris and garden trash. Females leave their winter sites in early spring and deposit up to 800 orange-yellow eggs in the soil near the base of plants. In about 10 days hatching occurs and the larvae feed for three or more weeks before pupating. First generation adults emerge 10 days later. A complete life cycle requires 6-9 weeks. Up to four generations can be produced in a single growing season. Select resistant varieties whenever possible. Inspect plants frequently for beetles and handpick any that are discovered. Floating row covers are extremely effective when placed on seedlings and left in place until plants are old enough to tolerate beetle damage. Commercially available beneficial insects, such as ladybugs, green lacewing and the spined soldier bug, will feed on pest eggs. Beneficial nematodes work well to curtail immature stages developing in the soil. 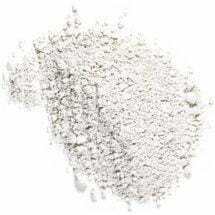 When applied to plants, Surround WP (kaolin clay) leaves a fine powdery film that insects find unattractive for feeding and egg-laying. 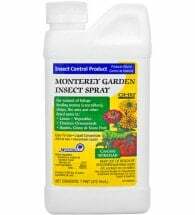 Spinosad, the active ingredient in Monterey Garden Insect Spray is approved for organic use and works on a long list of insects found on vegetable crops. 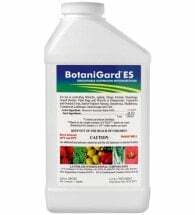 BotaniGard ES is a highly effective biological insecticide containing Beauveria bassiana, an entomopathogenic fungus that attacks a long-list of troublesome crop pests – even resistant strains! 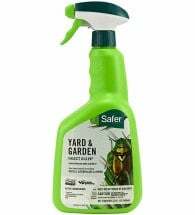 Weekly applications can prevent insect population explosions and provide protection equal to or better than conventional chemical pesticides. 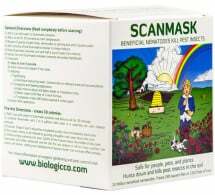 If pest levels become intolerable, spot treat with a fast-acting organic insecticide. 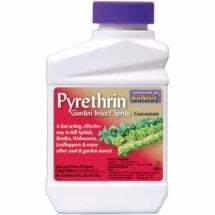 For best results, apply to the undersides of leaves and deep into the plant canopy where insects hide. Remove garden trash and other debris shortly after harvest to reduce overwintering sites. Tip: Securely fasten row cover edges to ensure that beetles do not find a place of entry. 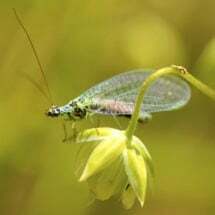 A voracious predator, green lacewing can consume as many as 60 aphids an hour. 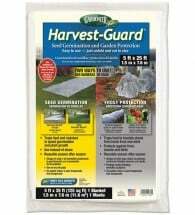 Applied as a liquid, Surround WP - kaolin clay - evaporates leaving a protective film.